With effect from 6 Oct 2018, Sea View Bungalow 14, 15 and 16 will be designated as dog-friendly chalets and renamed as Sea View Bungalow (Dog-friendly) 14, 15, and 16. 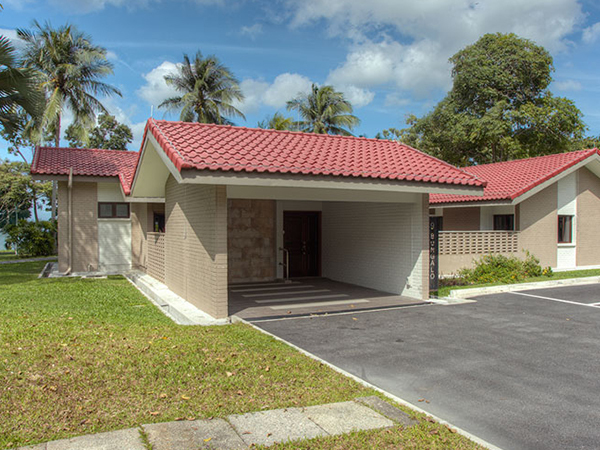 These units can be booked on www.cscchalets.sg from 6 Oct 2018. Please view the fact sheet and rates here. Dogs are restricted to the dog-friendly chalets and the dog-friendly zone to ensure that other guests in the Resort are not inconvenienced. There will be a revision in rates for these 3 units. You may refer to the attached document for the terms and conditions of booking the dog-friendly chalets.